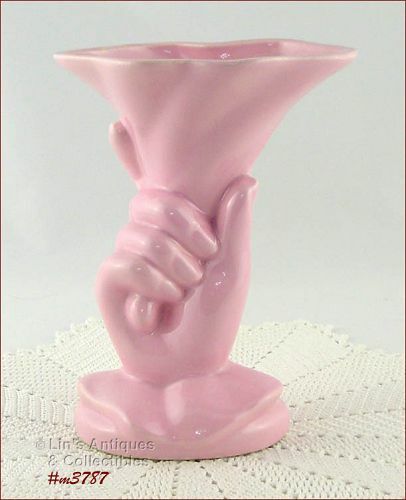 Absolutely gorgeous Hull hand vase – the pink color is so pretty! 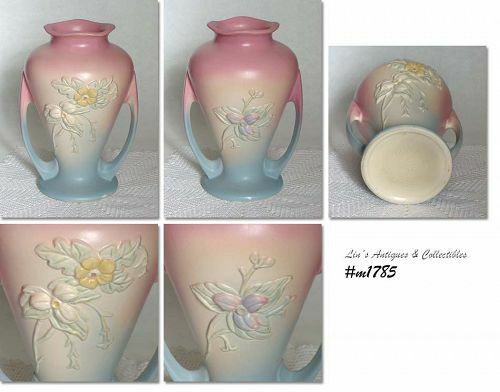 Vase measures 7 ¾” tall, bottom is marked Hull, and it’s in excellent condition. A super addition to a collection and a beautiful display item!! This vase is a super addition to a Hull or hand vase collection! 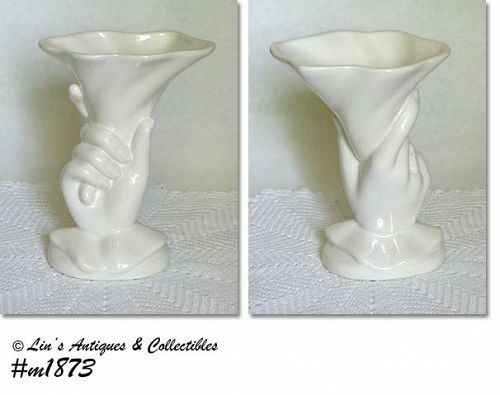 Vase is white with shiny glaze, the hand is “holding” a cornucopia (or a flower bloom), measures 7 ¾” tall, and is marked on bottom: Hull, USA, 83. 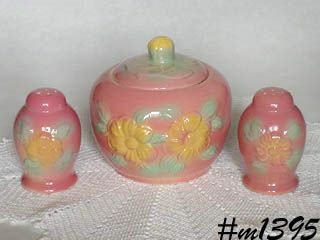 It has lots of detail, excellent crisp mold lines, and is in wonderful condition. It has a tiny (1/8”) dark mark where the hand meets the “sleeve” – I believe it’s production because this vase looks new and unused. Hull Pottery produced some beautiful items and this large vase is a wonderful example! Vase is from the Wildflower “W” series that was produced 1946-47. It measures 9 ½” tall and is marked on bottom: Hull Art, USA, W-12, 9 ½. 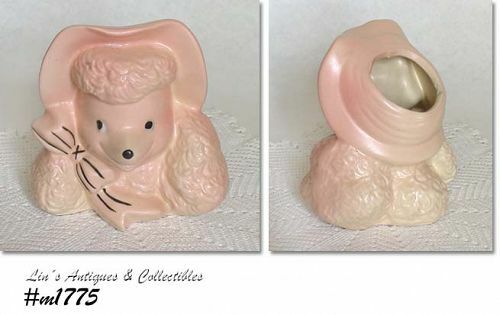 This is a cutie – a pink poodle planter (head vase) by Hull Pottery! Produced in 1955, Ms. Poodle has a pretty pink bow (accented with black) on one ear, a black nose and pupils, rest of planter is pink! 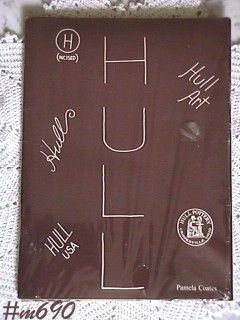 Marked on bottom: Hull 38, USA, copyright `55. Planter is in wonderful condition – has a production flake that was fired on in back. The only “use” evidence is a ½” slice type chip on rim edge (in back) – that’s it! 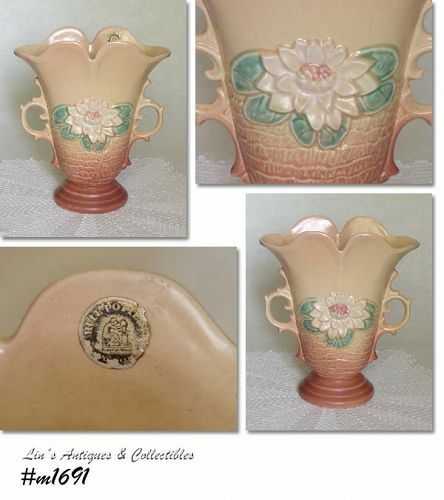 Wow – this is indeed a treasure – a Hull water lily vase with the original Hull sticker/tag! 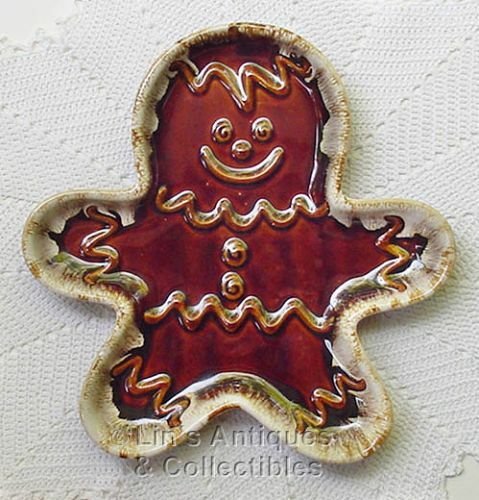 This is so cute -- it's a plate in the shape of a gingerbread man! Plate measures 9 3/4" from top of head to bottom of feet and 9 1/2" wide from hand to hand. Marked on back: Hull, Gingerbread Man, USA. Plate is in excellent condition -- no chips, no dings, no cracks, no crazing -- super! 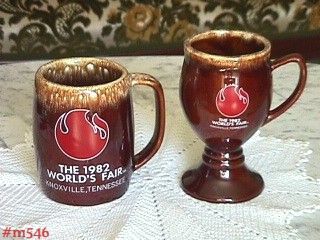 This listing has very nice Hull Pottery items commemorating the 1982 World's Fair in Knoxville, Tennessee! Both pieces are marked Hull. The stein is in great condition -- it has a production glaze pool pop-off on dry setting (underneath)ring. It is production and is not detrimental to use or to appearance.